a) To locate sources of information regarding the development of the community. b) To record this information and to make it available to the public and other interested parties. c) To stimulate public interest in, and care of, the beauty, history, culture and character of the area of the town and its surroundings. d) To encourage the conservation, development and improvement of features of general public amenity or historical interest. Membership provides ready access to information about events and meetings. It gives opportunities to help shape and direct the Society’s influence and activities. Membership provides the Society with strength, support and stability. The larger the membership the more influence the Society has in helping to shape the future of our town based on its unique and very special Heritage. We invite you to join the Society or renew your membership. The Society depends on a modest annual subscription, and ‘open’ collections taken at meetings, for its working funds. 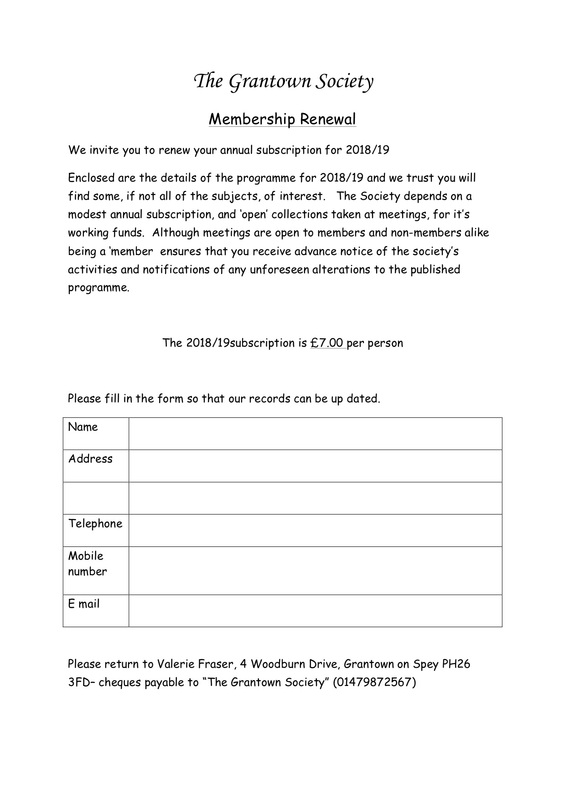 Although meetings are open to members and non-members alike being a ‘member’ ensures that you receive advance notice of the Society’s activities and notifications of any unforseen alterations to the published programme. You can pay your membership here using the PayPal button, or you can send a cheque to the address on the form.